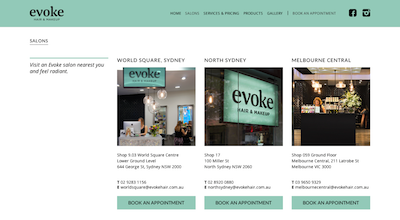 Evoke Hair & Makeup is a group of hair salons throughout Australia. 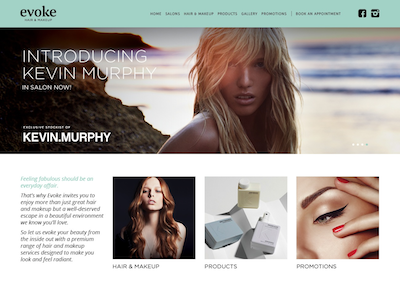 The website was designed as part of a complete branding package by Squad Ink Studio. 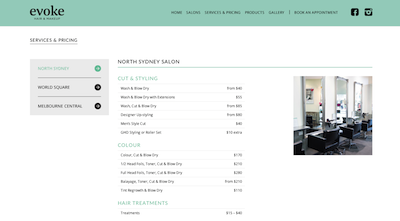 SEO Praxis implemented the design in a WordPress CMS application.